Glenn Clovis has a passion for nebulae; beautiful interstellar clouds of dust, hydrogen gas and plasma. “They stem from pure chaos. I have freedom to mix elements, colors and patterns how I like, I’m not restricted in a detailed sense on what I can create or what it looks like.”. And after seeing Glenn’s work in his portfolio over at DeviantArt, you’ll definitely have an increased interest in these interstellar clouds – “birth places of stars”. You can also check out Glenn’s work at his own well designed website at glennclovis.com. 3DAD: Have you always been a traditional pencil and ink kind of artist or did this evolve with the digital world? GC: I started out as a basic pencil/ink artist, creating most of my pieces during the 90’s. I purchased my first copy of Adobe Photoshop 3.0in 1996 and I started to teach myself. Cinema 4D: Easy to learn, very powerful, very fast and rock solid! That’s what Fredy Wenzel’s opinion is of Cinema 4D, the main tool in his workflow. 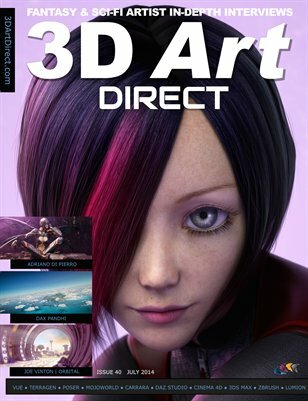 The free mini magazine edition of 3D Art Direct has been published and includes a lead interview article with Fredy (Fredy3D on DeviantArt) from Northern Germany. Sign up for our mini magazine now, to read the full interview with Fredy and to discover in detail his workflow with Cinema 4D. In our premium August edition to be published soon, we hope to bring you an exclusive interview with Chuck Carter, one of the lead artists from the smash adventure game Myst, developed in the 1990s. Myst created a new style of graphical adventure and the artwork produced was landmark for the time and still keeps a firm fan base. The Myst adventure game is now available as an on-line experience here. In the meantime, enjoy this excerpt from our interview with Fredy. 3DAD: You list your software tools as Cinema 4D, Photoshop, Poser and Vue. What do you think are the strengths and weaknesses of each of these platforms? FW: Let’s start with Poser. I could always draw nice technical stuff but drawing humans and animals was always a nightmare. So Poser is a great relief when it comes to pose humans and animals, to cloth humans and to play around with morphs and expressions. 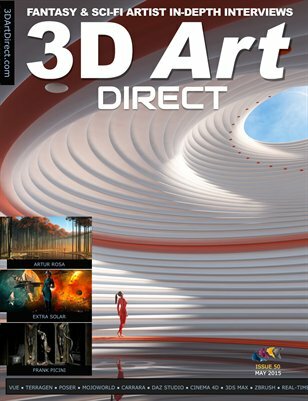 Create 3D Like a Superhero!! 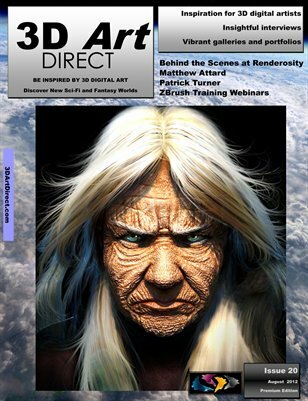 Chipp Walters has just launched his new comic-style book “Create 3D Like a Superhero!”. 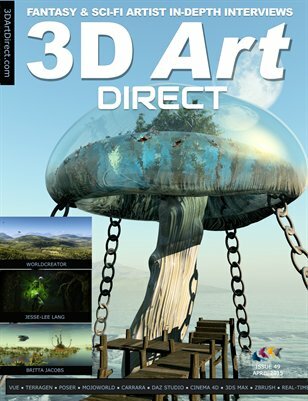 It teaches how to use e-on’s Vue in creating photo realistic landscapes and vistas, modeling inside vue and broaches interior lighting. 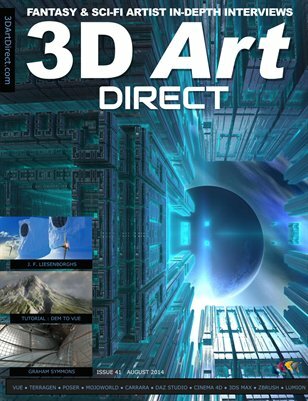 It’s a fresh approach on creating 3D artwork and raises the beginner to a good standard in creating detailed vistas in a few steps. It includes the Vue Pioneer SE software to get you started straight away! 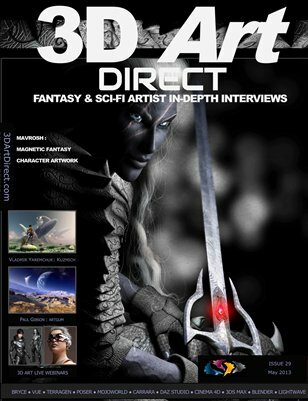 We interview Chipp in an exclusive interview in the premium edition of the 3D Art Direct Magazine, published tommorow. 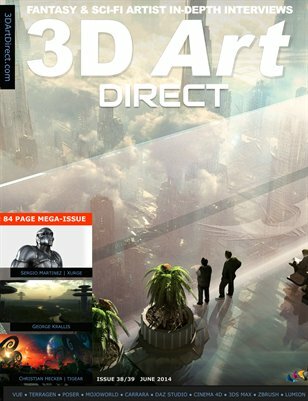 He talks about working with 3D digital art right at the beginning, working with NASA, Apple and Syd Mead—the visual futurist for movies such as Blade Runner, TRON, 2010 and Short Circuit. 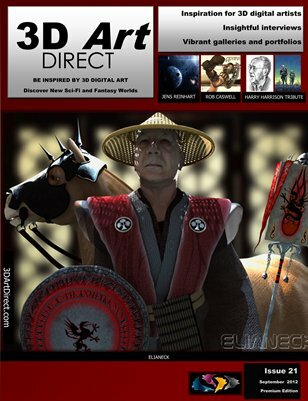 CW: On the Mac there were several 3D products. I suppose I mostly used Super3D. I wrote an animation program which could control it, and did some amazing Ingress/Egress animations for NASA showing astronauts climbing in and out of a CERV (Crew Emergency Return Vehicle) which my newly formed design firm, Design Edge, had designed. Juan is a 31 year old digital artist who lives in Pamplona, Northern Spain and we interview him concerning his fantasy art. 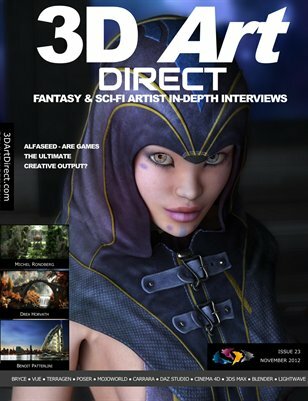 He presents some of the stories behind his pictures, what inspires him for his imagary and some quick tips for those just starting out in 3D digital art. Read this insightful interview, see Juan’s art portfolio and others in our premium content magazine, to be published later this month. “This is somewhat one of my favourite images. It Is not the best technically, but it’s very personal. A lot of times, your job reflects your mood. I’m from Zaragoza, a city in the north of Spain. But i have lived in six more towns, changing friends and homes every six or seven years. Past deals with time. Nothing stays the same, the world is moving forward and when you return several years later where you came from you may discover that nothing is like you remembered or wanted to remember.